AMS Instrumentation presents the Vortab Elbow flow conditioner designed to keep pumps running, reducing maintenance and extending pump life. AMS Instrumentation and Calibration introduces a new rugged flow meter from Fluid Components International. 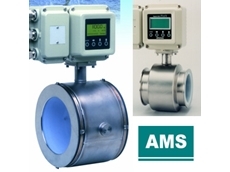 AMS Instrumentation and Calibration introduces a new range of flow meters from Fluid Components International. AMS Instrumentation and Calibration has introduced a new line of flowmeters from Fluid Components International (FCI) designed to measure various gas types and air in small line sizes. 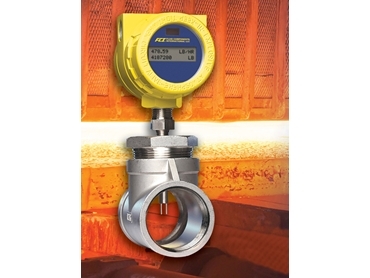 Suitable for chemical processing, electronics manufacturing, food/beverage, electric power generation, metals and materials, and pharmaceutical industries, the new ST75 air/gas flow meters from FCI measure fuel gas, process gas, inert gas, waste gases and air in small line sizes, making them ideal for optimising natural gas flow control for industrial ovens, heat chambers and furnaces to reduce process and plant fuel costs. Natural gas fuelled industrial ovens, heat chambers and furnaces are used in a wide variety of heating process applications. Two of the most common types of industrial ovens are the batch ovens, which support variable production load sizes, volumes and multiple temperature profiles in applications requiring a high degree of process flexibility; and conveyor ovens that support highly repeatable temperature profiles with uniform, predictable volumes. All ovens, heat chambers and furnaces, regardless of their type, benefit from the precise control of natural gas flow. FCI’s ST75 flow meter helps process and plant engineers more accurately control their complex heating processes to optimise rise time, which lowers gas consumption and minimises plant energy costs. Any reduction in natural gas consumption also contributes to a smaller carbon footprint. 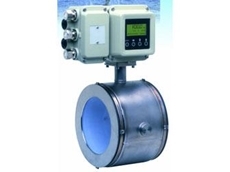 Key features of FCI’s ST75 flow meter include suitability for low flow and high flow operations in industrial ovens, operating over a wide flow range from 0.01 to 950 NCMH depending on line size; factory preset to a wide turndown range at 10:1 to 100:1 for variable process conditions; built-in temperature compensation enabling consistent performance in rugged, hot industrial process environments; accuracy to ±2% of reading with ±0.5% repeatability over varying process temperatures in line sizes 6-51 mm; and precision flow element featuring a no-moving parts design and employing platinum RTD sensors embedded in equal mass thermowells with microprocessor electronics calibrated to laboratory standards for a wide range of gases. 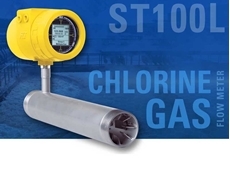 The ST75 flow meter features remote mounting capabilities for hazardous or crowded plant environments. 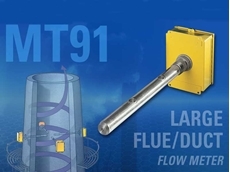 The remote mount transmitter, which includes a full digital display, can be mounted up to 15 metres away from its thermal mass flow sensor in the process piping and connected via two 0.50-inch FNPT or M conduit connections. The ST75 flow meter’s fully scalable dual 4-20mA standard outputs are user assignable to flow rate and/or temperature and a 0-1kHz pulse output of total flow. The device is available with input power of 18 to 36 Vdc or 85 to 265 Vac, with or without a built-in LCD digital display. 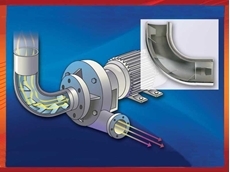 The ST75 flow meter offers direct-flow measurement for higher performance at a lower cost with proven thermal dispersion technology, eliminating the need for additional pressure and temperature sensors, flow computers, or other devices that are required with orifice plates, Venturis, vortex shedding, and other volumetric meters. The minimal maintenance requirement of the ST75 delivers a low installed and low lifecycle cost. The FM and CSA approved ST75 flow meter is enclosed in a rugged, all-metal, dust and water resistant NEMA Type 4X (IP66) rated housing designed for Class 1, Div 1 hazardous area installations and includes a rugged sensing element constructed with all welded 316 stainless steel and Hastelloy-C tips. ATEX/IEC approvals include Zone 1, II 2 G Ex d IIC T6-T3; II 2 D Ex tD A21, IP67 T90°-T300°.